After attending the University of Minnesota, where he studied Business and Marketing, Bob sold restaurant equipment and supplies for PYA/Monarch and Johnson for 2 years. In 1989 he joined Amcom Corporation as a Sales and Marketing Account Manager offering restaurants new and refurbished POS equipment and parts. Accomplishments at AMcom include developing a new vertical market in restaurant POS, and becoming a private shareholder in 1985. After Amcom merged with two other companies to become Expresspoint, Bob developed and marketed POS software and became the Director of POS Sales in 1998. During his 10 years at Amcom, he developed strategic relationships with retailers like Walgreen’s, Dillard’s Department Stores, Wal-Mart, Longs Drug, CVS, Menard’s and Dayton Hudson Corporation. 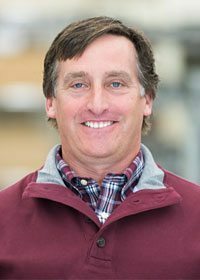 In his spare time, Bob enjoys golfing, snowmobiling, and boating with his family.